Stumbled upon your site while searching for information abouit vitamin d dysreguiation and was so impressed that I had to tell you so. You gave me a much more comprehensive insight into some of vitamin D’s ecosystem that I had never imagined might be the case. All of which prompts me to mention my vitamin D enigma that has my doctor stumped. When I retired 15 years ago as a consulting psychologist I moved from the San Francisco Bay area to the Seattle area to be close to my son. Then I got so caught up in using the computer to follow a range of interests that I seldom got out of doors — and the latitude here limits the D I could get from sunlight anyway — and I get virtually no vitamin D from my diet since I am allergic to seafood. The upshot was that as I moved into my 80’s I was confronted with a variety of physical changes that that I now think were due to severe vitamin D deficiency. Three or four teeth just crumbled over a period of a month or so, I developed adult scoliosis, and my blood pressure (always a bit high) went out of control, hitting the 190’s and low 200’s. I refused blood pressure pills since I had previously been damaged by them, and instead began taking increasing amounts of vitamin D. When I hit 15,000 a day it began to drop, and settled at the 150 to 175 range. Three months ago my vitamin D level was measured as part of a yearly physical exam, and when my doctor found that my NgL level was 92 he said that he had never seen one that high and asked me to cut my intake to 10,000 units for starters. I had tried to do that three times previously, and my blood pressure went back up the first two times and the third time my face began to swell. This fourth time didn’t work either, with my blood pressure going up after a few days of starting. I stuck it out for two weeks and then went back to the 15,000 IUs. But, as opposed to my three earlier tries, when blood pressure was back to my normal in a week, this time it took a six weeks before the blood pressure came down again. So the enigma that I have has to do with this weird relationship between my vitamin D “requirement” and my blood pressure. Otherwise I feel better than fine. My Google research led me to a curcumin program a while back and that has brought back my original dark brown hair color, and recently I found that I now longer had to get up to go to the bathroom every night(as has been the case for years). And as of a week ago I found that my prostate is shrinking. More importantly, the AMD I have in both eyes is gradually reversing to the point where I no longer am a member of the enlarged print gang. So as far as I know everything is working fine and I don’t have a chronic anything! These conditions rarely regress on conventional medical treatments, so to achieve this degree of success is a medical miracle. Like Charles’s doctor, I was stumped by this at first, but then I thought to look up some other case reports of patients who benefited from super-normal 25OHD. Autism reports from Dr. John Cannell of the Vitamin D Council gave me an idea that might solve Charles’s enigma. For most people, health is optimized by obtaining about 4,000 IU/day of vitamin D3 from sun or supplements, leading to a serum 25-hydroxyvitamin D (25OHD) level of 35 to 50 ng/ml in people of Eurasian ancestry or 30 to 40 ng/ml in people of African ancestry. Infections making cell membranes leaky to 1,25D, causing it to spill out of cells into the blood, thus reducing activation of the nuclear membrane’s vitamin D receptor (VDR). Infections obstructing or downregulating the VDR, causing the body to attempt to upregulate VDR activation by increasing conversion of 25OHD to 1,25D. Both forms of vitamin D are active ligands for the VDR, but 1,25D is far more active, so converting 25OHD to 1,25D means more activation of the VDR. Inventing ways to block the VDR or move 1,25D out of the cell would be fitness-enhancing mutations for bacteria or viruses, since activation of the VDR triggers production of antimicrobial peptides that are central to intracellular immunity. Since bacteria evolve a lot faster than humans, it should be no surprise that pathogens have been able to evolve these capabilities. But some people have diseases that produce the opposite pattern. In their diseases, “normal” 25OHD levels are associated with impaired health, while unnaturally high 25OHD levels normalize health. He is taking super-normal amounts of vitamin D: Sunshine alone will generally not produce sustained creation of more than 4,000 IU/day. (Yes, I know that 10,000 IU can be produced in half an hour in D-deprived individuals, but if that person went out in the sun every day vitamin D production would soon decrease.) So 15,000 IU/day is roughly four times the normal dose. He is achieving super-normal levels of 25OHD that would probably be toxic for most adults. The maximum 25OHD levels achievable through sunshine vary among persons, but are generally between 48 and 80 ng/ml. Moreover, human cells turn on the gene CYP24A1, which codes for the main vitamin D-degrading enzyme, at 25(OH)D levels below 100 ng/ml. It seems that evolution has designed us to keep 25OHD levels around 50 ng/ml or lower – certainly below 80 ng/ml. So Charles’s 92 ng/ml is well above the levels achievable by natural methods. Since both 25(OH)D production and degradation have been strongly selected for by evolution, we can be confident that in healthy people of reproductive age it’s not a good idea to supplement at 15,000 IU/day or drive serum 25(OH)D to 92 ng/ml. Aside: Their high rate of heart disease may be due to vitamin K2 deficiency. Charles, please be sure to supplement vitamin K2, preferably a mix of MK-4 and MK-7 forms, along with your D.
Yet whereas healthy younger people would experience toxicity at Charles’s vitamin D dose or 25OHD level, Charles’s health improves. Let’s consider a few other cases where super-physiological 25OHD levels have cured diseases. Dr. John Cannell of the Vitamin D Council is the most prolific writer on the subject of vitamin D, and in his newsletter has collected a number of reports of diseases being cured by pharmacologic doses of vitamin D.
At age 2.5 years, between December 2007 and January 2008, my son experienced a fairly dramatic onset of symptoms that led to his diagnosis of autism…. I … decided we would try a vitamin D supplement. Our pediatrician did not encourage any dose higher than 400 i.u. (that found in a typical multivitamin) but did write a script to have his 25-hydroxy level tested. In August his level was 37, so we started him on 5,000 iu daily [PJ: Since vitamin D needs scale by body weight and this is a young child, this is a very high dose – comparable to Charles’s 15,000 IU] and had his level retested on October 21st. By October his level was 96 ng/ml [PJ: A super-normal level, close to Charles’s 92 ng/ml] The pediatrician was concerned that this was too high and told us he should not have more than 400 iu per day. Knowing that Nov–March are typically his worst months, we reduced the dosage down only to 3,000 iu from October through mid-December. At an appointment in December our son was doing wonderfully (none of his usual fall/winter symptoms yet evident) and the pediatrician told us 3,000 iu was too much and that we should be giving no more than 400 iu. In mid-December we reduced the dose to 1,500 iu. [PJ: This would still be a high dose for a normal 4 year old] By the beginning of January we noted a marked loss of eye contact. [PJ: But this “high” dose is insufficient] We also noted that our son was again interchanging his right hand for writing and eating (after using his left hand exclusively for 8+ months). We increased his vitamin D level to 4,000 iu daily in early January. On January 11 we had his 25-Hydroxy level checked on January 11 and found that it was 89. [PJ: Again, the disease is present at a “normal” 25OHD of 37 ng/ml but absent at a super-normal level around 90 ng/ml.] By the end of January, we and his grandparents noted improvement in his eye contact. So the child’s autism is essentially cured on super-normal doses of vitamin D that raise serum 25OHD to around 90 ng/ml. Is it just a coincidence that Charles and the autistic child experienced a normalization of health at the same 25OHD level? And that in both cases, the normalization occurs after a few weeks of high-dose vitamin D supplementation? Let’s step back for a moment and think about what would cause health to normalize with super-normal 25OHD. Suppose that for some reason, cells were unable to convert 25OHD to 1,25D. What would happen? First, cells would have unusually low levels of 1,25D for any given level of 25OHD. Since 1,25D is more than a hundred-fold more active as a VDR ligand than 25OHD, this means that their level of VDR activation would be reduced. If the higher activity of 1,25D is almost precisely balanced by its lower abundance, then a cell’s loss of ability to make 1,25D will cut VDR activation in half. So to restore VDR activation to normal levels, you would need to raise 25OHD to double normal levels: 70 to 100 ng/ml. This would fit the cases of the autistic child and of Charles, both of whom reached normal health at around 90 ng/ml. PDDR is characterized by muscle weakness and rickets. One nice thing about diseases caused by a single genetic defect is that they are easily reproduced in animals. PDDR can be reproduced in mice by knocking out the CYP27B1 gene. “Alopecia” is hair loss. “Kyphosis” is the familiar hunchback that many elderly develop. Osteoporosis is a familiar symptom of aging, as is loss of muscle, wrinkled skin, hardening of the arteries and stiffening of joints (“ectopic calcification”), loss of hearing and balance, and – approaching death. While no one has assessed afflicted [with PDDR] children for signs of autism, these children clearly display autistic markers such as hypotonia (flabby muscles), decreased activity, developmental motor delay, listlessness, and failure to thrive. What Mechanisms Might Produce a CYP27B1 Deficiency in the Elderly? It’s a safe bet that Charles does not have a genetic defect in CYP27B1. If he has a CYP27B1 dysfunction, it must have been acquired in old age. Infection with a pathogen that interferes with CYP27B1. Pathogens have evolved ways to interfere with other human proteins in order to suppress the immune response. Since CYP27B1 creates 1,25D which enhances immunity, it would not be a surprise if some pathogen had evolved a way to interfere with CYP27B1. Mitochondrial dysfunction. The enzyme coded by CYP27B1 operates in the inner mitochondrial membrane. Only in mitochondria can 1,25D be created. The “mitochondrial theory of aging” holds that mitochondrial decay is the primary cause of aging. Perhaps in elderly people suffering from mitochondrial dysfunction, CYP27B1 does not operate properly. Whatever the mechanism of CYP27B1 loss-of-function may be, it appears that doubling 25OHD levels remedies much of the loss-of-function within a few weeks. It might not be amiss for elderly patients and autistic children with symptoms of vitamin D deficiency to experiment with raising 25OHD to twice normal levels. In those with a CYP27B1 defect, this may produce an amazing recovery. Further recovery might be possible. If the cause is infectious, appropriate antibiotics could help. If the cause is mitochondrial decay, then mitochondrial supplements might help. The centrality of vitamin D function to optimal aging raises another thought. What if the main cause of aging is not the decay of mitochondria in general, but a specific decay in their support for 1,25D formation in the mitochondrial inner membrane? What if this loss of intracellular 1,25D is widespread among the elderly? In that case, following Charles’s protocol and raising 25OHD in the elderly might significantly extend lifespans. And improve hair and skin at the same time! 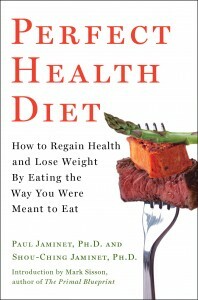 “Vitamin D Dysregulation in Chronic Infectious Diseases,” http://perfecthealthdiet.com/?p=421, August 21, 2010. Heaney RP. Vitamin D in health and disease. Clin J Am Soc Nephrol. 2008 Sep;3(5):1535-41. http://pmid.us/18525006. Lou YR et al. 25-Hydroxyvitamin D(3) is an agonistic vitamin D receptor ligand. J Steroid Biochem Mol Biol. 2010 Feb 15;118(3):162-70. http://pmid.us/19944755. Rajasree S et al. Serum 25-hydroxyvitamin D3 levels are elevated in South Indian patients with ischemic heart disease. Eur J Epidemiol. 2001;17(6):567-71. http://pmid.us/11949730. Rowling MJ et al. High dietary vitamin D prevents hypocalcemia and osteomalacia in CYP27B1 knockout mice. J Nutr. 2007 Dec;137(12):2608-15. http://pmid.us/18029472. Takeda E et al. Vitamin D-dependent rickets type I and type II. Acta Paediatr Jpn. 1997 Aug;39(4):508-13. http://pmid.us/9316302. Tuohimaa P. Vitamin D and aging. J Steroid Biochem Mol Biol. 2009 Mar;114(1-2):78-84. http://pmid.us/19444937. Keisala et al. 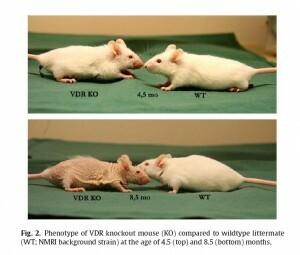 Premature aging in vitamin D receptor mutant mice. J Steroid Biochem Mol Biol. 2009 Jul;115(3-5):91-7. http://pmid.us/19500727. Cannell JJ. On the aetiology of autism. Acta Paediatr. 2010 Aug;99(8):1128-30. http://pmid.us/20491697. Cannell JJ. Autism and vitamin D. Med Hypotheses. 2008;70(4):750-9. http://pmid.us/17920208. Haussler MR et al. The nuclear vitamin D receptor controls the expression of genes encoding factors which feed the “Fountain of Youth” to mediate healthful aging. J Steroid Biochem Mol Biol. 2010 Jul;121(1-2):88-97. http://pmid.us/20227497. Commenter qualia recently got his serum 25-hydroxy vitamin D levels tested and found a surprising result: He had doubled his vitamin D intake from 5,000 IU to 10,000 IU per day, but his 25(OH)D levels didn’t budge – they were at 61 and 62 nmol/l, equivalent to 24.4 ng/ml in American units. 24 ng/ml is well below the optimal level for healthy people of 40 ng/ml. When a healthy person supplements vitamin D, the serum 25(OH)D level usually rises linearly with dose up to about 40 ng/ml, then it rises very slowly thereafter as the body tries to keep 25(OH)D from rising by putting vitamin D into storage. So it was natural for qualia to expect his serum 25(OH)D level to rise when he doubled his dose. But it didn’t. The stability of his 25(OH)D levels suggests that his body has reached an equilibrium at 24 ng/ml. Instead of plateauing at 40 ng/ml with abundant vitamin D3 as a healthy person would, he is plateauing at a lower level. Well, I don’t know. But I would like to provide qualia with a little bit of background, because this could be a clue that helps diagnose his condition and optimize treatments. I suggested in the comment thread that qualia get his 1,25D levels measured as well as 25(OH)D.
Levels of 1,25D are not routinely measured, even in scientific studies, because they rarely vary. Blood levels of 1,25D control calcium homeostasis and are tightly regulated. In healthy people, as vitamin D intake rises from zero, serum 1,25D levels shoot up to normal levels before 25(OH)D levels reach 12 ng/ml. They then stay in a normal range no matter how high 25(OH)D levels rise. The kidney is the primary controller of blood 1,25D levels. The normal range is about 16 to 42 pg/ml (42 to 110 pmol/L). While all human cells can convert 25(OH)D to 1,25D, most cannot release 1,25D into the blood. 25(OH)D freely crosses cell membranes and maintains the same level throughout the body; but 1,25D does not cross membranes. This allows every cell in the body to “personalize” its 1,25D levels to its own needs. Both 25(OH)D and 1,25D are active ligands for the Vitamin D Receptor (VDR), a nuclear receptor. When either 25(OH)D or 1,25D binds to the VDR, the compound is imported into the nucleus, where it combines with a vitamin A-activated Retinoid X-Receptor (RXR) to form a transcription factor which, among other roles, upregulates production of antimicrobial peptides (AMPs) that are crucial for cellular defense against intracellular pathogens. The patients in this sample were 100 chronic disease patients: 29 with fibromyalgia, 27 with chronic fatigue syndrome, 12 with post-treatment Lyme Disease, 9 with metabolic disease, 6 with osteoarthritis, 4 with irritable bowel syndrome, 4 with psoriatic arthritis, 3 with multiple sclerosis, 3 with seronegative arthritis, and 27 with other diseases. Probably all of these diseases are caused by chronic parasitic infections. A few things to note from this plot: (1) 25OHD levels in a lot of chronic disease patients cluster around the 61 nmol/L level that qualia has; and (2) most chronic disease patients have 1,25D levels well above the normal range, even though their 25OHD levels are mostly below the optimal level in healthy people. Here’s where we get into speculation. There just hasn’t been research exploring this question. Researchers are only just realizing that these diseases are infectious in origin and that vitamin-D-mediated innate immunity is critical to the intracellular immune defense. Rather than speculate, I’m just going to mention a couple of possibilities. These are all infectious diseases, some of them protozoal in origin. Second, nearly all human pathogens manufacture proteins or RNA that interfere with the innate immune response. Some are known to interfere with the VDR or with other aspects of vitamin D biology. (The HIV virus blocks the VDR entirely, one reason why it predisposes AIDS patients to infections.) It’s possible that vitamin D dysregulation is brought about by direct pathogen actions to disrupt cellular vitamin D pathways. The only thing we can conclude with confidence from qualia’s vitamin D tests is that he must have a chronic infectious disease … but he knew that already. Qualia would be best served by getting advice from an infectious disease specialist with experience in chronic diseases. Such a doctor might be able to narrow down the diagnosis. A diagnosis would help determine which antibiotics might be appropriate to help fight the infection. Until a doctor’s diagnosis or qualia’s personal experience indicates otherwise, it’s probably prudent to continue with a reasonable intake of vitamin D and to increase iodine as quickly as possible. (Even this is not certain: the standard advice is to minimize vitamin D in granulomatous diseases.) Other infection-fighting supplements, like vitamin C, N-acetylcysteine, and glutathione are likely to be helpful also. Finally, I always recommend that anyone with a chronic disease find a good discussion forum, like the one at http://cpnhelp.org, and try to find people with similar disease histories and learn from their experiences. Best of luck, qualia, and please keep us posted. Blaney GP et al. Vitamin D metabolites as clinical markers in autoimmune and chronic disease. Ann N Y Acad Sci. 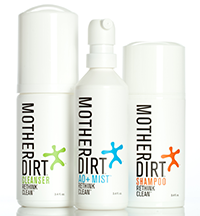 2009 Sep;1173:384-90. http://pmid.us/19758177.